Send A Message To Beverley. Bev Dyck, M.A. is married with four adopted children who are now adults. She is a gifted, professional Counsellor. She has a direct approach, yet is gentle, engaging, interested and connecting. Her counselling is client centered with a strong educational component. Her work is about mutual respect and is solution focused. Clients are given tools (skills) to equip them for life. Bev has a Masters degree with a counselling emphasis. She continues to take courses and seminars that continue to make her work relevant. She has created educational cards and DVD's to help in the counselling process. She is a family counsellor who has been practicing for16 years. Bev is associated with PACCC (Professional Association of Canadian Christian Counsellors) and NASAP (North American Society of Adlerian Psychology). When possible, Bev will seek community resources and may suggest an alternate professional who may more effectively address the issues, if that is necessary. 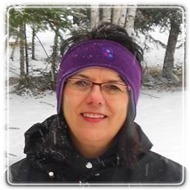 Bev Dyck has had experience as a contract Administrator and Certified Facilitator for parenting groups. She has prepared and facilitated many parenting classes like "The Spirited Child", "Anger - The Misunderstood Emotion", "Positive Discipline", "Parenting of Teens", "Bullying", "Eating Disorders", "The Blended Family", etc. She does trauma debriefing and intervention in workplaces. Bev works with individuals and families; Marriage Counselling; Parenting Issues; Women's Issues; Co-dependency; Children: Spirited, ADHD, Discouraged ; Assertiveness; Personality Profiles and Navigating Conflict. Bev enjoys people and has a very connecting way about her. Children love her and look forward to their sessions with her.